This was my 3rd Escape Room and this was the best and most memorable one by far. 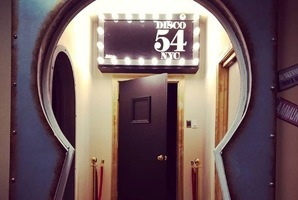 My kids escaped quite a few escape rooms in the last few years and while my daughter was home for the holiday, all my kids escaped the Disco 54NYC room at Unreal Escapes. They loved it so much that they went back for the Battleship room and convinced me to come along to escape with them. 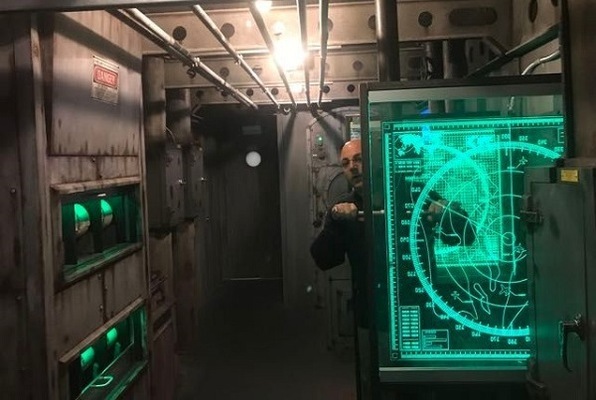 The Battleship room was so much fun and allowed me to see how smart my kids were, and the mastermind behind the whole concept turned the escape into an adventure with ingenious ideas that left a lasting impression for all of us. World War III has broken out. The entire United States Naval fleet has been destroyed by a surprise, all sides’ naval attack. Fortunately for the U.S., there is one old, beat up, decommissioned Battleship that is left in the fleet. It is the Battleship USS Staten Island which was the last of the true Battleships to have ever been manufactured. You and your fellow officers have been chosen for your one of a kind military background and battle skills. The mission for you and your team is to destroy the enemy and save our country from the invading forces. Your challenge is great because the enemy fleet will arrive in 60 minutes. Fortunately, you have at your disposal one of the best, and most decorated battleships to ever sail the seven seas. Your mission is huge, so good luck and Godspeed! Reviews of escape game "Battleship"
I don't usually do reviews but we had so much fun. This place is a must visit. The intricacy of the room is amazing, nothing is broken and everything works the way it should. My group will definitely be back to do the other room. Great customer relations as well. The owner was super friendly and helpful. My daughter requested that we go as a family to Unreal Escapes for her birthday. It ended up being her present to us! We had a wonderful time. We were able to escape in just under the allotted time. It was not easy! The escape room was a very authentic looking battleship and the puzzles were complicated but solvable if you work as a team. Fortunately for us the rest of the group paid little attention to me and went about solving the riddle of the room. It was such a good time, and my contribution has continued to grow in the re-telling, which has made it even more enjoyable! 5 stars!